Esta es la única página escrita en inglés, a fin de facilitar el intercambio de información – principalmente con el proyecto Rocrail. Si alguien necesita información en castellano, como siempre, que no dude en mandarme un correo. The raspberry and PIC (RPIC) is a very basic electronic circuit to have a multiprotocol central station running in the raspberry pi. Thus, and inspired by the MDRRC Digital RailRoad Control by Robert Evers, I decided to develop my own ucontroller central station. Yes, it is yet another solution for managing model trains. 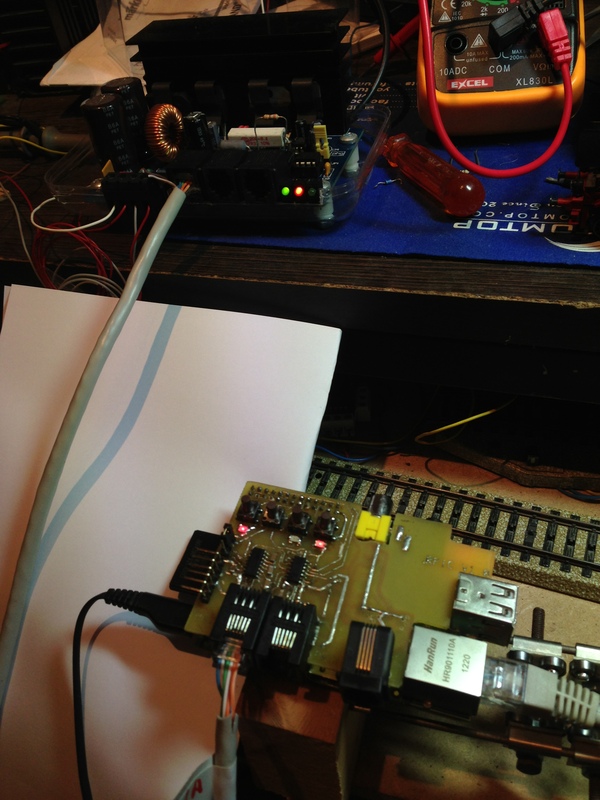 The main difference with other solutions is that rpic is born to be used jointly with rocrail and the raspberry pi. Of course, with the right HW adaptor, it could be used with other platforms, and with the right protocol, it could be also used by other pieces of SW… but for that purposes there are already many available solutions. The objective was to complement the raspberry pi with the minimum pieces of HW to get a full control center. Currently RPIC works together the rocpi library created for rocrail. There are basically two modes of use: as an auxiliary command station, or as the main command station. The rocpi library can be used as a secondary station to make use of the GPIO port of the raspberry pi. 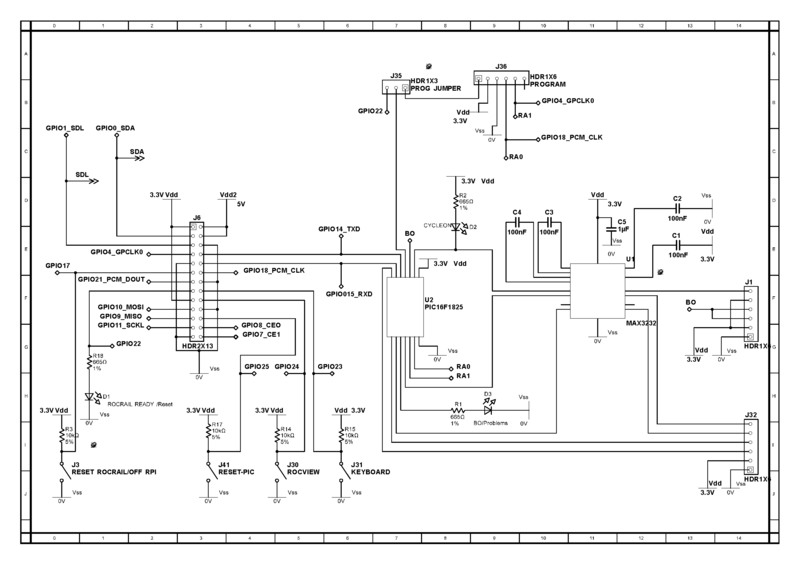 In this case, the ucontroller and max3232 of the schematic, can be removed. A button to reset the daemon (short pulse) or turn off your raspberry pi (pressing the button for more than 4 seconds). Segregated programing track (PT), with the possibility to run both the trains and send commands to the PT. At least complete the research on MFX. The idea is to let the user configure the buttons in further version, improving the script to install both the daemon and the firmware at the pic. At this stage, programming can be done with an external programming, just moving the jumper to the programming mode, or directly from the raspberry through a script that program the ucontroler using LVP. Further instructions can be found at the manual.